The HTC Vive and the Oculus Rift are currently the two most in-demand VR headsets. Which one is right for you? Let's take a look. Here's what the Vive has to offer. The Vive and the Oculus Rift have two completely different design philosophies. The Rift is built to be a gaming peripheral which rarely leaves the space in front of your monitor, while the Vive is meant to be a full immersion machine. The VR space of the Rift is limited to 5ft x 11 ft, while the Vive opens that up to a 15ft by 15ft room. In short, this means that you can get up and walk around virtual space with the Vive, whereas the Rift tethers you to your chair or a small standing area. This, along with the Vive's precise motions controls, allows you to jump around while playing tennis or swing your sword at invading ninjas. The Rift's motion controllers won't release until later in 2016 and will require yet another monetary investment on top of the headset. Because the Vive lets you walk around virtual space, some safety features needed to be built in. The Chaperone system uses a front-facing camera on the headset to produce an outline of the real world space you are in, whenever you get too close to something that could injure you. The Oculus has no similar safety feature. The front-facing camera on the Vive also opens up the unit to augmented reality games that utilize your real world space as the game world, or even augmented reality app experiences, like a web browser that allows certain browser elements to pop out of your monitor. The Vive is a bigger headset than the Rift and with that size comes a few extra capabilities. For example, the extra space allows you to adjust the space between the lenses and your eyes. This makes the Vive more comfortable when wearing glasses and clearer if someone with eyesight problems takes their glasses off. Using the Oculus completely cuts you off from the outside world. The Vive, on the other hand, does its best to integrate your VR experience into your real life. You can connect it to your phone via Bluetooth to allow you to listen to your messages and answer your calls in VR space. You can pause your VR experience and use its front facing camera to use your PC without taking your headset off. The Vive has a lot of features that take your real life into account, and that's all part of its design philosophy which centers around being an immersion device and a gateway to VR, rather than just another way to play video games. Both headsets require hefty investments into powerful processors and high-end graphics cards in order to run. However, the HTC Vive is a bit more lenient in terms of system requirements. It is compatible with a wider array of processors, though it still requires top-end models to function. It also requires fewer USB 3.0 ports and works with a larger variety of graphical outputs. That being said, this is only a small increase in user flexibility and won't really reduce the price of your setup in any significant way, but it will mean that the Vive is more likely to already work with your top-of-the-line rig if you purchased it prior to the advent of VR. Finally, the biggest selling point for the Vive is at the moment is: you can actually get one! The Vive is available and in-stock on HTC's website. You can hop on over, put in an order, and receive one in a few business days. The Rift, on the other hand, has been back-ordered until August, and it remains to be seen when people who order the Oculus headset right now actually get one in their hands. Who Should and Shouldn't Buy the Vive? Ask yourself one question: why do you want a VR headset? 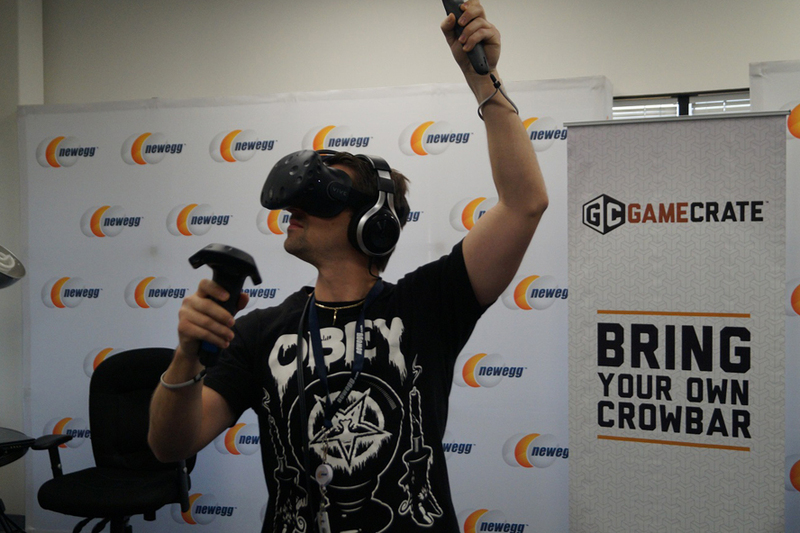 Do you want to experience everything that VR technology has to offer, or do you just want a cool new way to play video games? If all you want is a gaming experience, the Vive may disappoint you. It has few exclusives and its library is currently slim, consisting mostly of tech demos and small indie games. Even so, the Vive undeniably provides the more immersive VR experience. The ability to get up and walk around the virtual world is much more powerful than sitting in your computer chair, wearing a visor, and playing with an Xbox One controller. 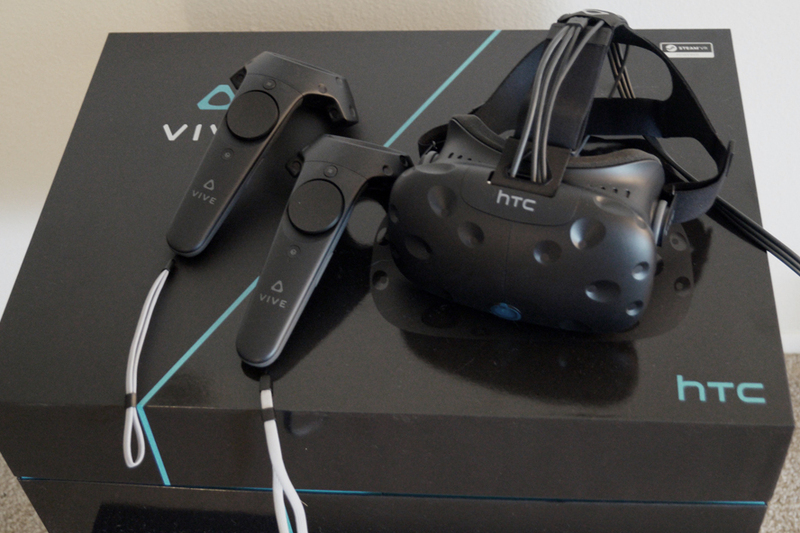 In fact, some might go as far to say that the Vive is the only real "VR" device out there. The others are just new types of monitors you strap to your face. 1. The tech. If you are a power-user then the Vive will simply do more for you. 2. The future promise. If the Vive gets more software support, it will be the superior headset in every way. 3. The experience. 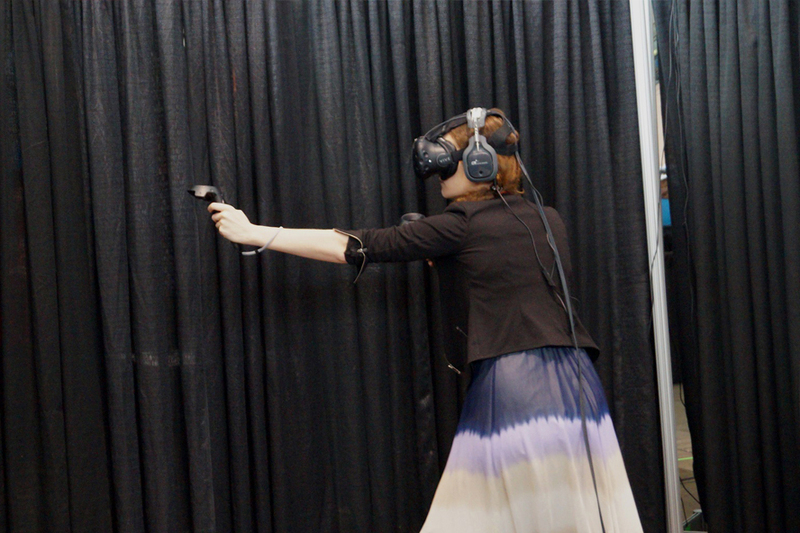 The Vive lets your full body be part of the VR experience. If you really want to be transported to a fantasy reality, only the Vive can do it. Why you should choose the Oculus Rift Here's what the Rift has to offer. Oculus Rift vs. HTC Vive Which system is right for you?